The modifications of the muscularis externa seen on the large intestine are called teniae coli. 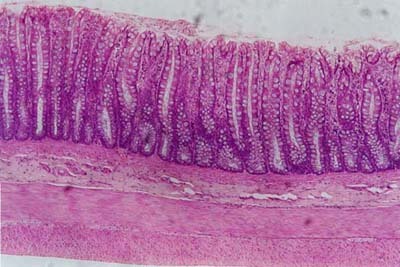 The major cell of the lining epithelium of the large intestine is the columnar absorptive cell. Goblet cells are most numerous in the large intestine.